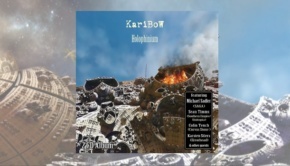 Karibow is a German progressive rock band, founded and led by multi-instrumentalist Oliver Rüsing, that uses elements on Neo-Progressive rock combined well with traditional rock and metal power. 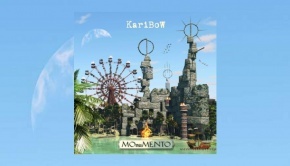 They have been compared to bands like Saga, Marillion and Toto, and in December 2014 Karibow were awarded the German Rock & Pop Prize as the “Best Progressive Band”. Their last release, double album Holophinium, appeared to critical acclaim in April 2016 and included guest vocals from Saga’s Michael Sadler and keyboards from Sean Timms of Unitopia and Southern Empire. The band followed that strong album release with a tour through Germany together with Saga, who were on their farewell tour. The band’s name comes from the East African Kisuaheli/Swahili term “caribou”, which is meant as a welcome greeting. To avoid confusion with the popular Canadian elk, Rüsing added the ‘w’ and created the mythical perception of a warrior with a crossbow. Alongside Rüsing, the new album From Here to the Impossible features original band members Jörg Eschrig, Thomas Wischt and Gerald Nahrgang. As with Holophinium, numerous guest musicians appear. 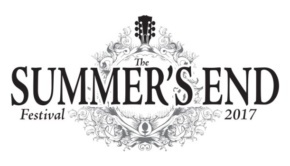 Sean Timms is back, alongside his Unitopia bandmate singer Mark Trueack. Monique van der Kolk from Harvest and Daniel Lopresto of Southern Empire provides vocals, keyboards are contributed by Saga’s Jim Gilmour and Marek Arnold from United Progressive Fraternity, Marek also contributing saxophone. 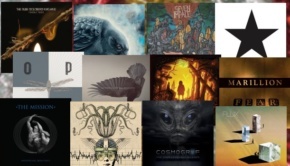 All of these excellent musicians make a powerful statement and sound, and from the opener Here until closing track The Impossible, you can hear the passion and commitment of all to produce something lasting. Don’t we all need to search for something new to invigorate our lives? I couldn’t agree more. The keyboards and drums which follow are like an African tribal assault, an earthshaking sound that is powerful enough to force you into change. “Here is where you are coming from. It’s what you’ve been running from. This is the theme that both song and album seem to project. Change; don’t get down on yourself and surrender to the conditions of today. A transformative message that we all need, especially in today’s paralyzed world economy. The keyboards, drums, bass and lead guitars are perfect, the band having its own sound which is authentic and original. “It’s the time of your life. My generation has a right to fight! The drums are like thunder and the guitars weave a magical web of chemistry around the soundscape. Never Last is another deep and emotional song, this time more cerebral than passionate. Great drums pound out a solid beat while keyboards do an excellent job of creating an amazing atmosphere. One of the best songs on the album, the lyrics are deep and lasting. “You never see the limit. Take a look at the world. Come over to the other side. It surrounds me like a thunderstorm. Bass and lead guitar paint eternal pictures to remember as Marek Arnold’s saxophone accentuates the scene, female narration completing the perfect track. Lost Peace is another passionate track, Monique van der Kolk adding her warm vocal touch to the male vocals screaming their immediacy before keyboards, drums and guitars take us on a wonderful instrumental journey. A Crescent Man is an ethereal wonderland filled with Monique’s voice before thundering drums and vocals return. Inside You is another fine vocal display from Monique, with great instrumental support. “No one could lock this open door. I’ve been to places you will never see. “And it keeps me alive and makes me want to survive. Amen! This is the kind of positive encouragement the world so badly needs. Listen to the whole song, there are more great lines, followed by a slicing synthesizer solo. The ‘Darth Vader’ voice returns with, “This is the end of your journey. Now prepare to face the ultimate struggle and dance with immortality”. 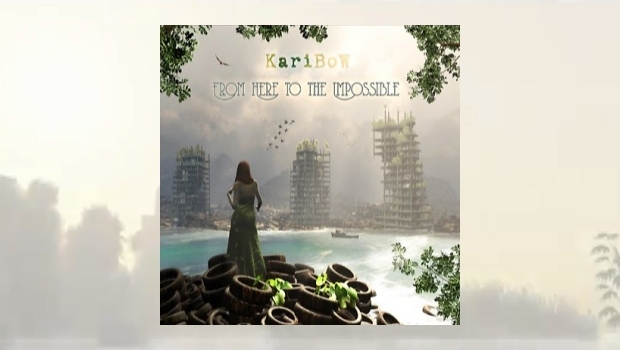 The 11-minute plus epic track, “The Impossible” starts with a cool instrumental before Mark Trueack sings “A gift so divine will set you free”. It’s emotional, uplifting and a powerful closer…bringing back memories of Unitopia’s The Garden. This is one of the best albums of the year so far. Please don’t miss your chance to hear and own it.